I got an email about an interesting new book called Management Lessons from Mayo Clinic: Inside One of the Worlds Most Admired Service Organizations . The book obviously focuses on the world famous Mayo Clinc, a non-profit medical center based in Rochester, Minnesota. There is a lot one can learn from the Mayo Clinic (I’m planning on interviewing the book’s authors soon), but one of the interesting things I saw in the summary of the book is the Clinic’s decision to pay its doctors on a salary instead of by procedure. I know very little about how hospitals work and how the medical profession in general works and that’s not what I’m going to focus on here. What I’m interested in is how the Mayo Clinic went against what might seem like a logical system and instead decided to use something that focused on overall customer satisfaction instead of profits. This isn’t unheard of. CarMax puts their sales representatives on salaries to ensure the advice and guidance they give is more motivated by eventual customer satisfaction than it is by short-term commission gains. Most car dealers are paid on percentage commissions. This encourages the car dealer to sell the customer a more expensive car (bad). Real estate agents are paid on percentage commissions. This encourages the agent to show the client more expensive houses (bad). Plaintiff attorneys get a percentage of the settlement or award. This encourages the attorney to get the most money for him/herself and the client (good). Some sales people are paid based on a flat commission. This encourages them to make a sale, but not a specific sale (better than bad). And so on. 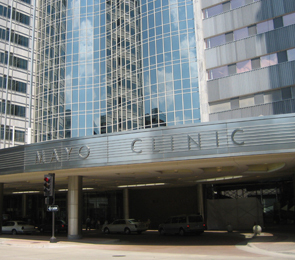 The Mayo Clinic deciding to pay its doctor on a flat salary that wasn’t dependent on the number (or expense) of procedures and focused on patient well being is something they do to ensure long-term patient and satisfaction and well being. If you don’t rip your customers off and instead focus on getting them solutions that actually make sense for them, you’ll make more in the long-term. Photo credit to Nephron via Wikimedia. Carmax has a good system, but it is not a no pressure environment, it is a low pressure environment. The sales people their work off of a commission, at least when I worked their they did. However, every car carries the same commission, so the sales person wants to get his customer into the car the customer likes, not a car with a higher commission. In the Carmax had a system for success and that is what I liked about it. « Is Your Service Edgy?